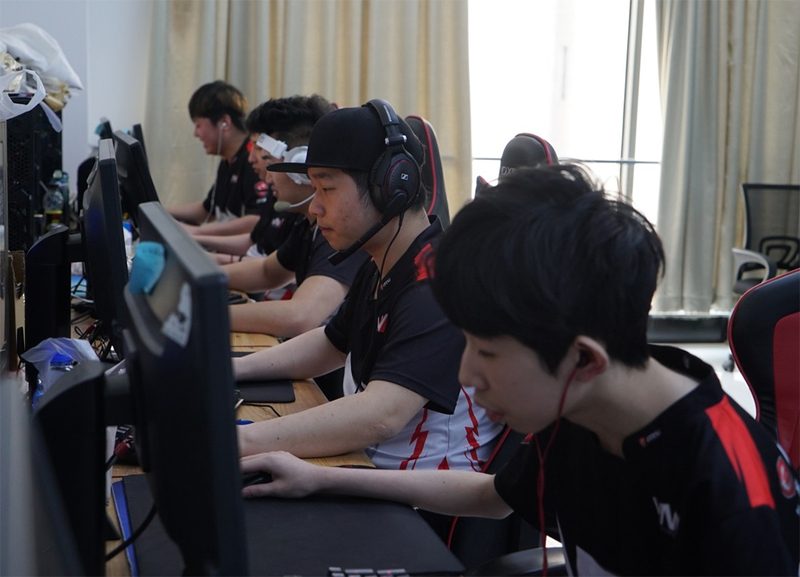 As China's first eSports club, wNv was brought into being in 2003. The breathtaking victory of wNv in WEG2005 Season 3 CS World Championship captured worldwide attention. Its further success next year as WEG2006 Master CS World Champion made wNv the most prestigious, World No. 1 ranked CS team. As of 2007, magnificent performance and well earned victory continued to win wNv world recognition in the competitive CS scene. For wNv, it was a shining moment and a career climax never seen before. For gamers across the globe, it was their very first time to come to know about China's eSports club. However, things took a turn for the worse since 2010, as wNv came across difficulties within the organization and was once on the brink of disbandment. Later in 2016, the rise of CS:GO and Overwatch ushered in a new era 2.0 for FPS competitive gaming, which rekindled the passion of wNv founder Chao "ioq" Ma who then aggressively set out to build new teams to revive wNv. 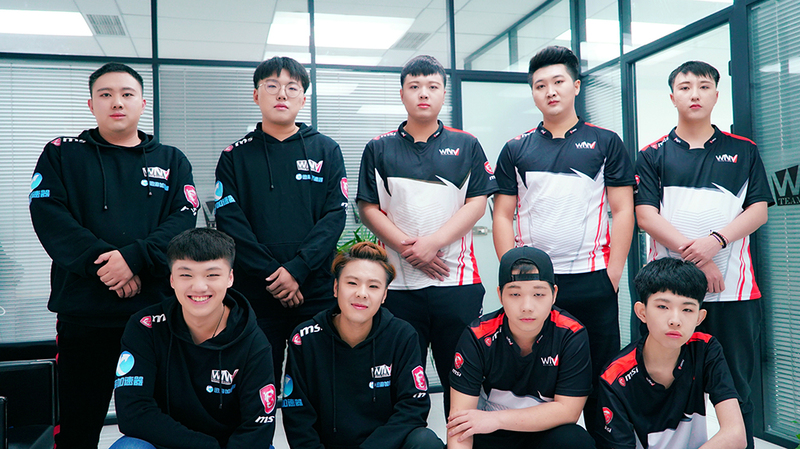 Moving forward into 2017, wNv's unwavering determination led it to a strong comeback in alliance with MSI, the world leader in gaming hardware. "When will wNv regain its lost glory?" global fans have expressed their concerns while wishing wNv a speedy victory. Until victory arrives, let’s first applaud the former CS World Champion for a brave return and learn more about its new rosters. Being China's 1st CS World Champion versus on the brink of disbandment. What have you learned from past success and setbacks? A glimpse into our younger years, we acted on impulse and tasted bitter failure after sweet success. Now we are definitely mature enough to stay positively motivated while controlling impulses, which helps us stride steadily forward knowing that we will reach every goal we set ourselves. 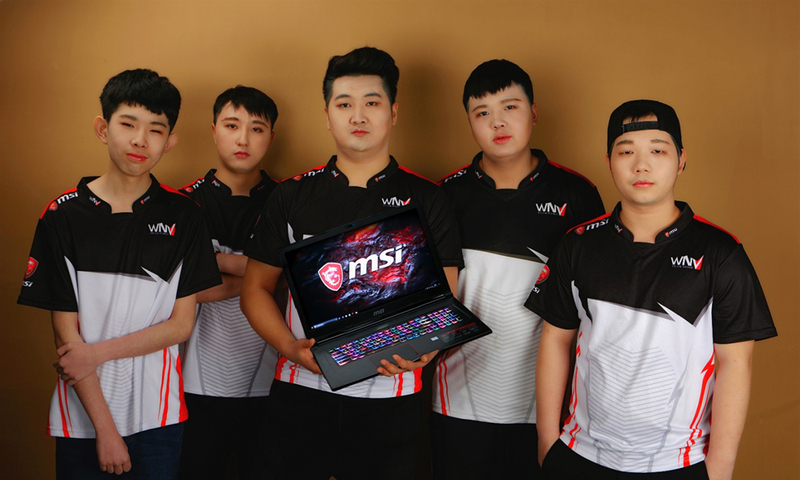 What initiated your comeback and partnership with MSI? In terms of FPS gaming, 2016 represented the new era 2.0 when CS:GO and Overwatch went mainstream and dominated the global gaming scene. 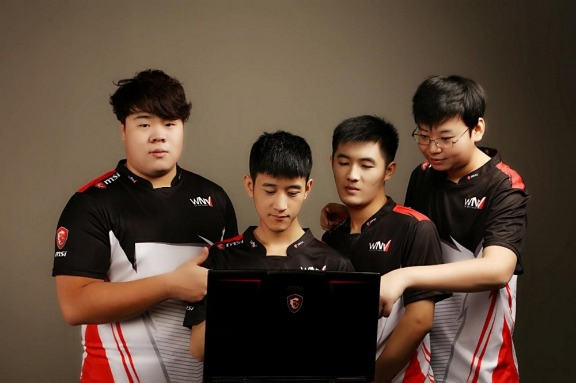 To fulfill the latest FPS games’ demand for high-end laptops and to facilitate training during global tournaments, wNv eagerly looked for new-age gaming laptops that were both ultraportables and top performers. At that time, MSI’s one and only 120Hz laptop display was a real head-turner that grabbed wNv's attention. With the same dedication to being the best, wNv and MSI started their partnership. Please enlighten us about your new rosters. Does your name wNv carry any special meaning? wNv signifies Wisdom, Nerve and Victory. How does the Chinese CS:GO playstyle differ from those in European and American regions? What are the competitive advantages of Chinese players? The Chinese CS:GO playstyle leans towards bringing individual skills into full play. In European and American regions, however, individual skills and teamwork are combined, through which coordinated efforts of individual team members help to accomplish a goal. In other words, European and American players are characterized by stronger teamwork, sharper map awareness and better game sense. 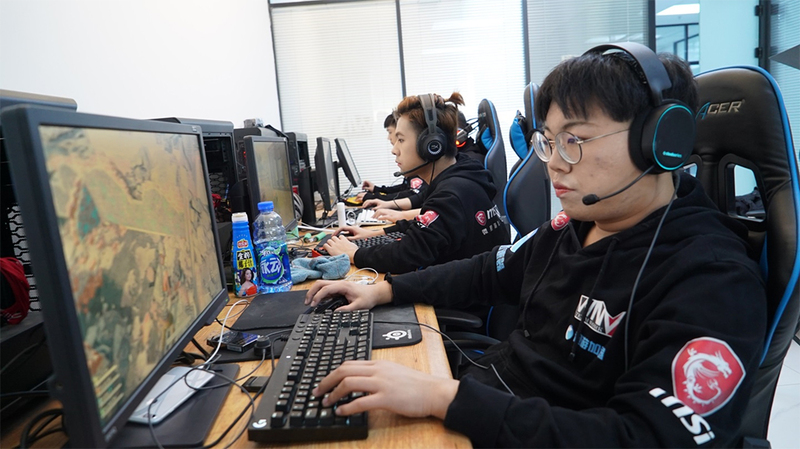 Chinese players rely more on harnessing their outstanding individual skills, such as aiming, handling the mess and cleverly breaching through an enemy line, to maximize team performance and secure more wins. Please have your PUBG roster share with us their knacks for surviving poison gas, earning the best position possible and being the last man standing. First check the flight path and pick the best possible landing spot. Aim for free farming to collect sufficient resources and vehicles in the absence of war. Scan your surroundings and decide whether you'll set up in the center or pick the side of the circle before advancing to final circles. The goal is to work your way into those final circles with lower damage. Put yourself in a perfect hideout in the end game circle. When inferiorly situated, scout, breach and clear. While superiorly positioned, stay hidden and focus on collecting air drops and supplies. Let everyone else kill each other until you're forced to open fire. Staying alive is all you need to earn that delicious chicken dinner. Tell us about your partnership with MSI. What do you think of MSI GAMING products? First of all, partnership with MSI ensures wNv's operational efficiency, especially in terms of gaming equipment sponsorship. To strike a good work-life balance, we separate our personal lives from training sessions. 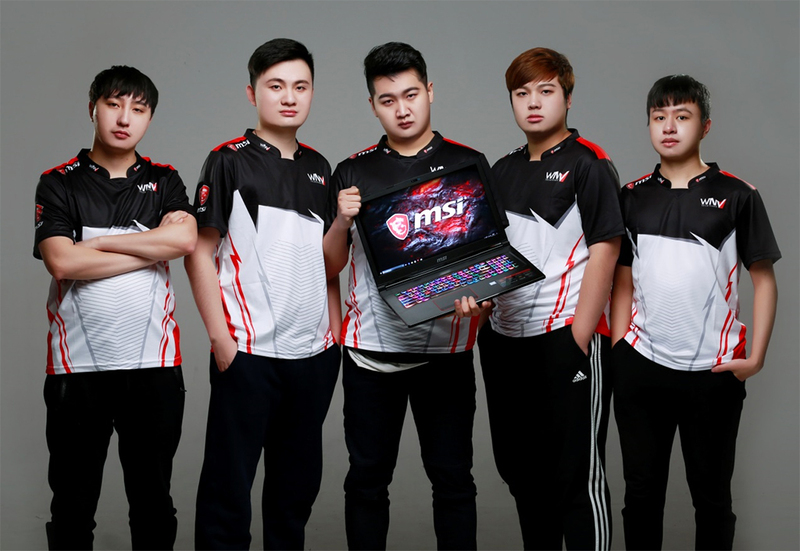 Ultra-portable, top-notch MSI gaming laptops serve as perfect machines that seamlessly fulfill players' personal and professional needs in training rooms, dormitories and everywhere. What is your next goal in CS:GO? What would you say are the biggest challenges ahead? Our top priority is doubtlessly the most illustrious FACEIT Major London 2018. We hope we will survive Asia Minor, advance to Major and qualify for the stickers. Our strongest contender is TyLoo, the pioneer of the Asian Counter-Strike:Global Offensive scene. For a chance win, we have to relentlessly optimize our teamwork, enhance players' individual skills, level up the team communication and be confident enough to constantly push beyond our limits. Are you aiming to compete at any upcoming PUBG tournaments? What do you envision as the best possible outcome? Official PUBG offline tournaments held globally or nationally are our top concerns. We intend to squeeze in as many official PUBG tournaments as possible. As for our goals, we envision more qualifications for national and world championships that will eventually make us world champions again. Thanks for your time! The last words are yours. For China's gaming industry to survive years of ups and downs, all credit goes to the support and efforts from sponsors, gaming platforms, tournament hosts, eSports fans and audience, etc. We are thankful to all people dedicated to China's competitive gaming and particularly grateful to MSI for fully supporting wNv. With your continuous support, we will absolutely aim high and achieve higher! glad to see wNv finally back in the game!